All lifts are designed to a very high standard and manufactured to operate for many years than most expect, lifts we have been involved with in terms of lift maintenance can be in service for 30 years or more! Too many lift owners see maintenance of a lift as a cost they do not wish to take on… until they experience a lift breakdown and they then realise that a few hundred pounds per year could have saved them thousands of pounds. How often should you have a lift serviced? 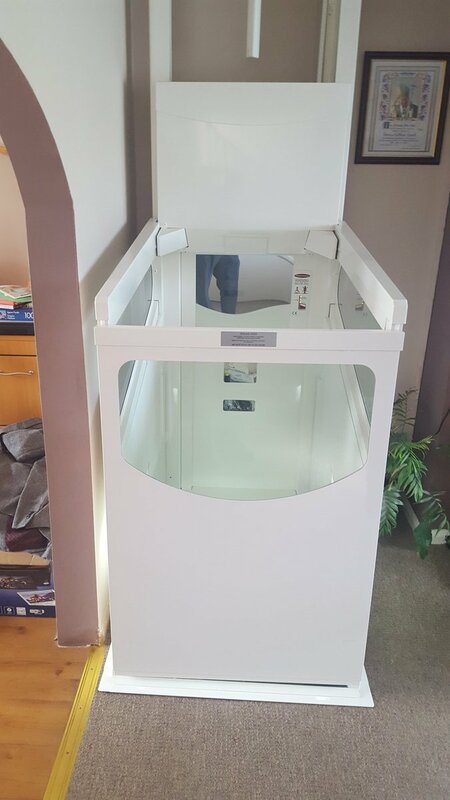 In our direct line of work in Service Lifts, we always recommend a twice yearly service contract however as a minimum you should have your dumbwaiter lift serviced at least once annually. Passenger Lifts – 4 maintenance visits per year. Platform Lifts – 4 maintenance visits per year. Goods Lifts – 2 visits per year. How much does a normal lift service cost? This varies between lift products but in general a budget of £90-£120 per service should be more than adequate, it is always cheaper to enter into a contract and also gives you better response times from your lift service provider. What does a service contract include for? Service visits are covered within the initial cost of a service contract (paid up front) and breakdown callouts are separate chargeable events on a case by case basis. In most instances on lifts under contract, a call out fee only is charged however if lift parts are required then you should always request a quotation prior to going ahead with lift repairs. We have many lift partners across the country which help to support some of our maintenance and repair work such as MW Lift Services in Newcastle, who cover the North East areas including Sunderland, Durham and Cleveland.